Honeygrow’s Rockville Pike location opened in December. 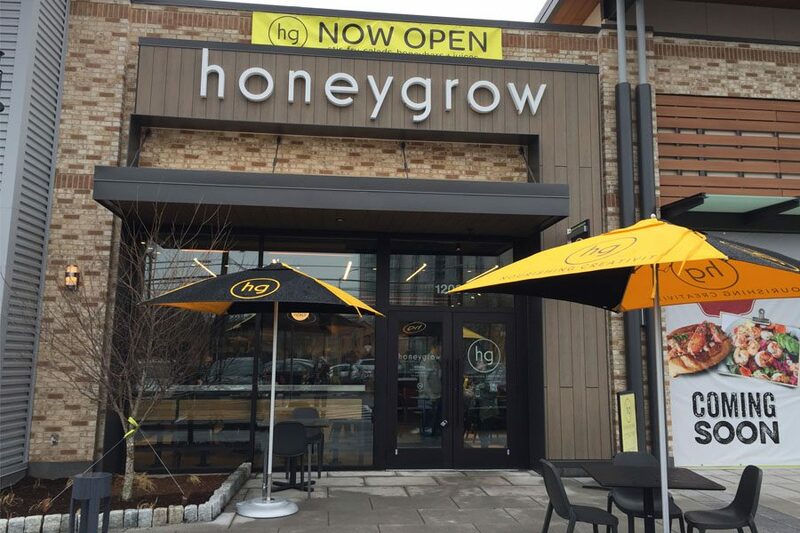 With fast, casual restaurants taking over the scene, Honeygrow recently opened at Montrose Crossing shopping center on Rockville Pike with the goal of bringing people together with high quality, wholesome and simple foods served in a variety of stir-fry or salad options. Honeygrow was founded in Philadelphia by Justin Rosenberg in 2012. Rosenberg was tired of all the mediocre food experiences from other chains, so he decided to leave his corporate job and pursue food and entrepreneurship. The restaurant is a great option for people with alternative diets, like veganism or vegetarianism and for people with gluten intolerances because all of the dishes are built upon a stir-fry or salad foundation. Tofu is included as a protein option in addition to more traditional options like pork, chicken, beef, shrimp and turkey. The dressing and sauce options also include many vegan and gluten-free options. A big difference between Honeygrow and other fast-dining options is that orders are made on large touch screens instead of from cashiers. Photo by Grace Goodman At Honeygrow customers can customize their own stirfry dishes. The futuristic touch screens display images from Rockville’s surrounding area, including monuments, metro stations and murals. Once the screen is tapped, the customer gets a choice of stir fry, salad, drinks and the honeybar for dessert. 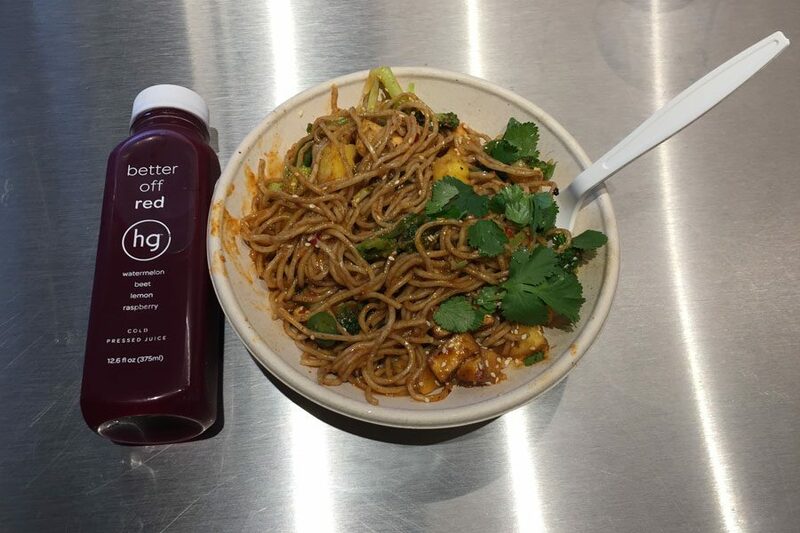 When ordering a stir-fry, the customer gets a choice of Honeygrow’s featured stir-fry options including Spicy Garlic, Sweet Soy Five Spice, Red Coconut Curry or create from scratch. Honeygrow has been compared to other chains like Chipotle where customers can customize their meals. First a base is chosen from various noodle options or brown rice for the stir-fry. Then the customer can pick their choice of protein, toppings and dressing. Customers are allowed one dressing, three toppings and two garnishes. Other toppings can also be added for an additional cost. Ordering a salad is similar. 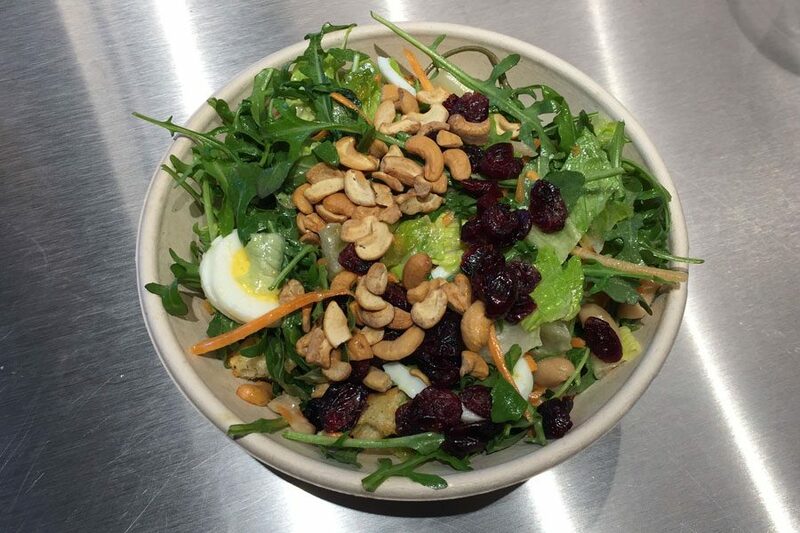 Honeygrow’s suggested salad combinations include White Bean Tuna, Walnut St. Noodle and their seasonal salad, Winter Kale. Suggested menu options are easily customizable by adding or substituting ingredients. After paying for a meal, it is ready in five to ten minutes. To pass the time Honeygrow includes a wordsearch on their napkins. The drink options at Honeygrow include their own brand of juices that are cold pressed with no added sugar. They offer three options: Green: apple/ spinach/ cucumber/ lemon/ basil, Red: watermelon/ beet/ lemon/ raspberry and Orange: orange/ carrot/ lemon/ ginger. While the juices are enjoyable, they are not worth $5.99. Photo by Grace Goodman Honeygrow’s menu includes suggested salad combinations. The fountain drinks at Honeygrow are provided by the brand Maine Root Beverages and at $2.49 are a much better value than the juices. Maine Root is a fair trade company and their beverages are sweetened with 100 percent organic cane sugar. Dessert at Honeygrow consists of choices from the “Honeybar.” Customers can combine fruits, syrups, chocolate, whipped cream, yogurt, granola and more to create their preferred dessert. Once again, it is delicious but overpriced. “I kind of feel like it was an overrated yogurt parfait. 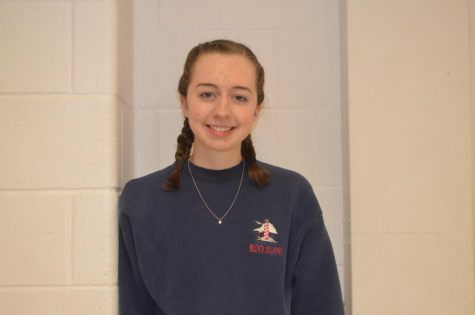 I didn’t think it was worth the price,” senior Sara Bensimhon said. There is also a Honeygrow app available on Apple and Google Play which allows customers to order from a phone. By using the app customers get points from the Honeygrow rewards program toward free food. 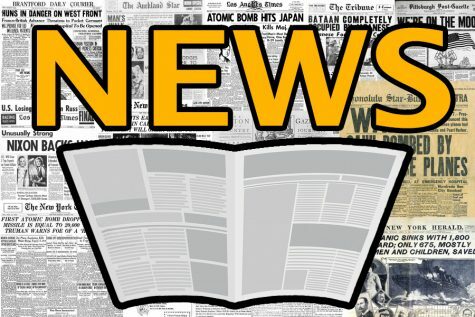 The app also has a unique feature called “Time’s Pan,” a game that lets users earn loyalty points for playing. From the description the app seems great; however, it only has 1.5 out of 5 stars on the Apple app store. This location of Honeygrow features photos by Baltimore photographer and videographer, Ian Jared Bell which are displayed on the walls of the restaurant. The surrounding art adds to the calm, casual conversations in the dining area but also juxtapose the fast-paced kitchen buzzing in the background. Honeygrow’s high quality and fresh ingredients are definitely a pull for this new restaurant. However, when the stir fry and salads options hover around $10 each, it can be a pricey option for a quick meal, especially for students.